Cuffia stereo a sistema chiuso con sistema di riduzione attiva del rumore ambientale. Altoparlanti dinamici da 40mm con magnete al neodimio e membrane in mylar. Auricolari sigillati per un isolamento passivo ottimale dal rumore ambientale e cuscinetti in schiuma automodellante. Struttura pieghevole con banda dellarchetto regolabile. Costruita con materiali ad alta resistenza. Sistema con comando/microfono a filo compatibile con iPod/iPhone. Cavo in rame OFC intercambiabile. Custodia in pelle da trasporto. Designed for life. Endorsed by science. 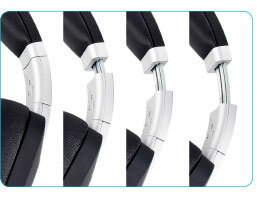 While celebrity endorsements have made headphones a fashion statement, sound quality is often overlooked. We thinkheadphones should sound as good as they look. 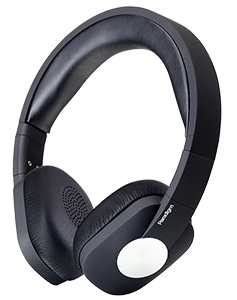 An active noise-cancelling headphone with a dual microphone design. 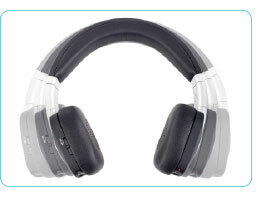 Equipped with in-line remote and microphone compatible with Apple devices and most smart phones. 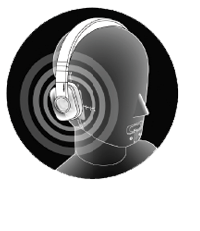 Noise-isolating model equipped with in-line remote and mic and compatible with all Apple devices and most smart phones. An established brand name with a 30-year track record of award-winning sound innovation. 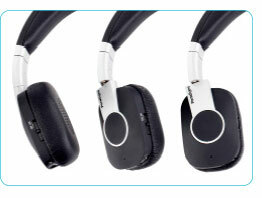 Ergonomics that deliver comfort even during extended listening. The H15NC and H15 are designed to give you the very best audio experience available in a portable, private listening format. Read on for the inside scoop on the science, a feature comparison chart and technical specs. Who better to design headphones than a company that has been winning awards for sound innovation for 30 years. Our unique understanding of what makes a speaker sound magical in a listening room was applied in the design of our headphones. In our world class R&D facilities we used sophisticated measurement tools (including Angelina, our Brüel & Kjær Head and Torso simulator) to perfect such things as the noise-cancelling algorithms in our H15NC headphones. Undesirable noise is filtered out without compromising the purity of the signal. The H15NC’s dual microphone design offers balanced pick up and superb noise isolation/attenuation. 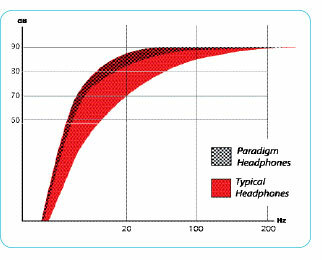 Paradigm headphones deliver the full audio spectrum to the ear with crystal clarity and perfect tonal balance. The result is an intensely private, noise and distortion-free listening experience, one that makes music sound “live” and brings movies to life. Comfort-Tilt™ adjusts to ear contours ensuring a noise-isolating seal. 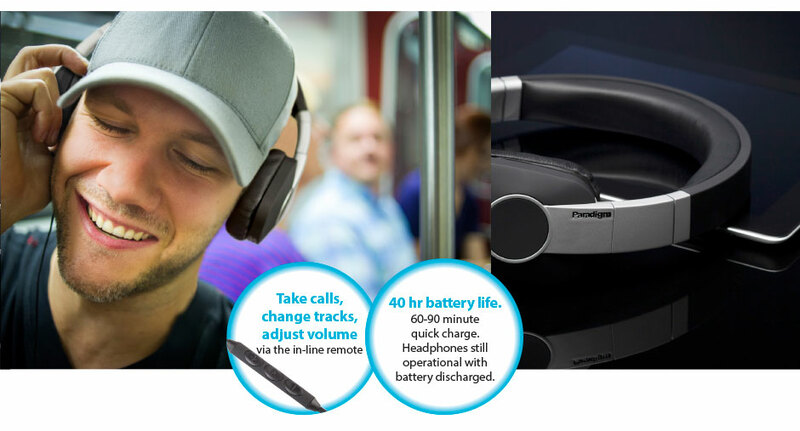 Flexible headband accommodates a full range of head sizes without adversely affecting the frequency response curve. ‘Just-right’ compression fit ensures comfort during extended listening sessions. FlexiPoint™ slider, incrementally indexed to accommodate varying head sizes. Three layers of contoured foam: Memory foam provides a layer of comfort, high-density foam prevents low-frequency “bottom out” and the closed-cell layer isolates and attenuates background noise. If the seal between ear and earcup is not perfect, bass performance will be compromised. In fact, you could lose as much as 10 dB (or more) of bass. Unlike many headphones on the market and despite the variations in human ear sizes and shapes, Paradigm’s design boasts a perfect seal. Frequency response is rich, deep, authentic and free from ambient noise and audible distortion. 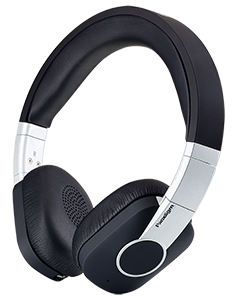 Supra-aural active noise-cancelling technology. Dual microphone design. In-line remote and microphone. Solid aluminum and composite construction. Breathable protein leather earcups with Comfort-Tilt™ earcup. Flexi-Point™ headband. Fold-flat design. Paradigm Shift H15NC. Cosa ne pensi? Lascia un commento!